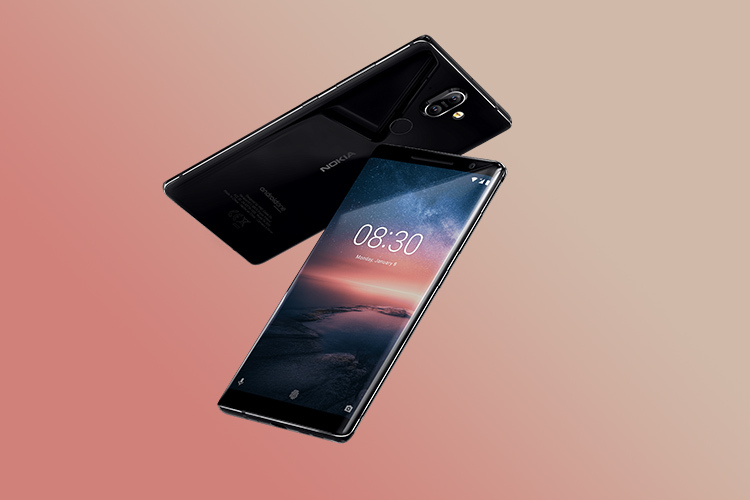 Finnish company HMD Global launched the Nokia 8 Sirocco in India along with a slew of other smartphones including the Nokia 1 Android Oreo (Go Edition), Nokia 6 (2018) and the Nokia 7 plus. While the Sirocco is definitely a really gorgeous device, there are certain things about this phone that make it a confusing device to recommend to someone. Let’s go through everything the Nokia 8 Sirocco does well, and all the places where it fails to impress. 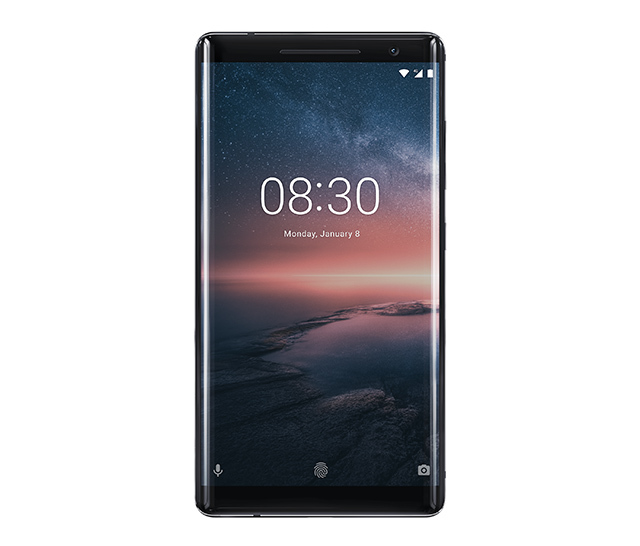 The Nokia 8 Sirocco is one of the few Android flagship-level phones this year without a notch, and still sporting a bezel-less display. The design is stunning, with a screen that curves gently around the sides, and is very reminiscent of Samsung flagships of recent years. That said, though, the Nokia 8 doesn’t bring anything remarkably new on this front. Aesthetically speaking, the Galaxy S8 – and the S9 by extension – looks much better than the Nokia 8 Sirocco, mostly because of the seamless curves, and the 18:9 aspect ratio that makes a lot easier to handle. The Nokia 8 Sirocco with its 5.5-inch 16:9 display is really wide, and that makes it harder to grip the phone. Snapdragon 835 — Last Year’s Chipset in 2018? Why? The Nokia 8 Sirocco really confuses me. The phone has a QHD+ pOLED display which means it’s a very great display, at least on paper (more on that later), it has 6GB RAM — definitely in the flagship ballpark — but it comes with a Snapdragon 835. In 2018. I’m not saying the 835 is a bad processor, in fact, it’s a great processor, but 2018 flagships should have 2018’s flagship processor, which the 835 is not. I mean, the Galaxy S9 comes with the Snapdragon 845 — which just happens to be the flagship processor of 2018 — and it comes in at ₹55,840 on Amazon. Plus, if you’re okay with a phone that has last year’s processors, I’d suggest you go with the OnePlus 5T. It has the Snapdragon 835, it has 6 to 8 GB of RAM, it has a bezel-less display, a good dual camera setup, USB-C with Dash Charge, and it comes with Oxygen OS, which is as close to stock as it gets. All that, for just ₹32,999 or ₹37,999. The display on the Nokia 8 is amazing on paper. It’s a pOLED panel, with beautifully curved edges that make it look amazing, and it comes with a QHD resolution. It’s awesome in every sense of the word… except we got a hands on the phone at the India launch, and well, we noticed something. The curves on the Nokia 8 Sirocco display suffer from awful color shifts. This isn’t something that’s unheard of, by the way. Samsung suffered from the same problem when it first curved the display on the Galaxy S6 Edge — a problem that Samsung flagships don’t have anymore – so maybe Nokia will be able to fix things in the next generation. I definitely have my fingers crossed for that. Call us nitpicky, but for a smartphone that costs almost ₹50,000, we are allowed to expect great things all around. In conclusion, the Nokia 8 Sirocco may be a beautiful phone, and many of you might even be tempted to buy it, but it’s not an easy phone to recommend by a long shot. The phone has an old processor, which in itself is enough for most people to disregard a smartphone that costs almost ₹50,000 to buy. Plus, it has a weird color shift in the display… but that you might be able to ignore. The good things about the phone are few and far in between. The phone manages to be notch-less even though the bezels are quite thin, and the edges are almost non-existent. Plus, the Nokia 8 Sirocco comes with Android One — which should, in theory, translate to better software support over the years, and timely delivery of security patches. The fact that stock Android is something a lot of people are clamouring for amidst phones running MIUI, EMUI or Samsung Experience, could work in Nokia’s favour.